In the late 1800s, Russia was the largest country in the world. Stretching from the Black Sea in Europe to the Bering Straits in the extreme east of Asia. It would take at least ten days to travel from one end to another by train. The sheer size made it a difficult country to govern. There were around twenty different nationalities within the Empire. Each had their own language and customs. Many did not speak Russian. Almost every major religion was represented within this diverse population. 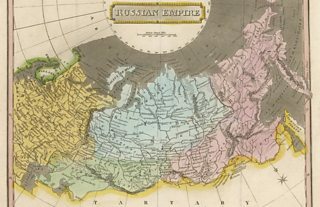 Compared to Western Europe, the Russian Empire was politically, economically and socially backwards. There was little industry and the vast majority of the population were peasant farmers. They worked in an agricultural system that had changed little since the Middle Ages. Most of the population were illiterate. There was little industry and most of it was located in Moscow and the capital city Saint Petersburg. The Tsarist Empire also used the Julien calendar rather than the Gregorian calendar which had been adopted by many other countries as early as the 16th century. The Julien ran 13 days behind the Gregorian. This was not changed until January 1918 which is why major events in Russia prior to this often have two different dates, reflecting each calender.